To fit your production, Ceritherm proposes tunnel kilns and cell kilns (known as batch kilns). These industrial kilns work on both gas and electricity and can reach temperatures up to 1800°C. Tunnel kilns are suitable to heavy industries requiring continuous firing. 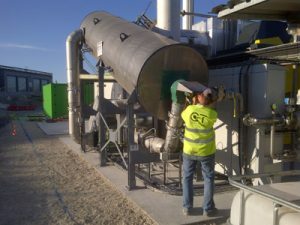 These industries have high production outputs and want low energy consumption thermal equipment. 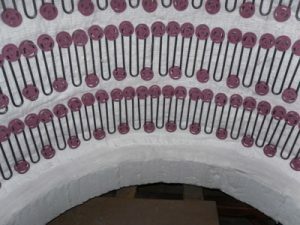 Tunnel kilns may be used for short firing cycles, like decoration porcelain kilns, for instance. 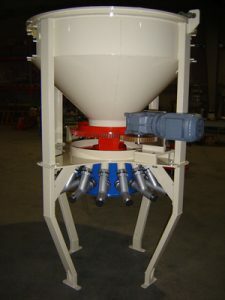 Batch kilns, or cell kiln, are mainly used to fit flexible process. Complete Scada system with production reports and setpoint backup. Ceritherm team is made up people whose skills and know-how are complementary. 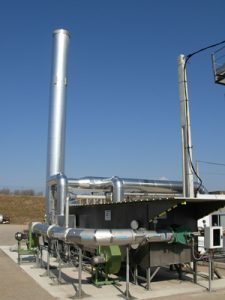 In- depth knowledge of your markets, as well as the expertise acquired in our profession are our guarantee that our thermal equipment- industrial kilns, dryers, heat chambers- will meet requirements and needs link to your particular work. We are involved in all business fields. Kiln design suitable to your production output, thermal performance, safety and maintenance needs requires a global outlook. 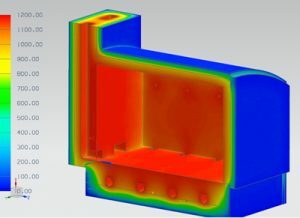 From the pre-study, Ceritherm carries out kiln energy consumption simulations. 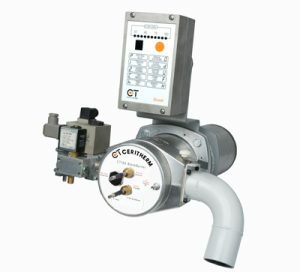 Ceritherm is spearheading energy economy solutions to bring you, and to evaluate returns on investment. Heat exchangers: for preheating combustion air or producing hot water for example. 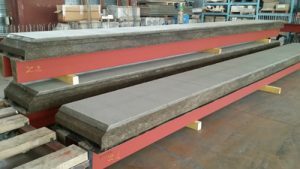 Kilns are assembled directly on your site by professionals in compliance with health and safety legislation and respect of time schedule, for worldwide project. 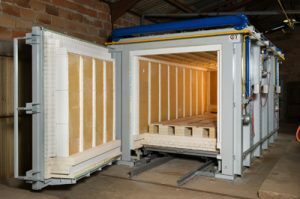 Kilns are prefabricated to save on-site installation time. Ceritherm kiln are commissioned by our skilled commissioned engineer whose aim is to take you through until final reception with respect of products quality, firing quality, kiln output..
Gas burners: Ceritherm designs and installs very high performance modular burners. Because insulation choice is key for your kiln performance and lifetime, Ceritherm designs refractory lining (choice of materials + assembly) safe and high-performance suitable to operating temperatures, atmosphere in the kiln (including possible chemical attack), firing cycle … for more information, feel free to visit our Industrial refractory lining page. Industrial Refractory insulation .